The following models did not win a Merit Award, but they were essential for the diversity in models that are required. Some were also build to go on my home layout or on modules. On some I also tried new techniques like cnc- and lasercutting. This depot was my first attempt in lasercutting. 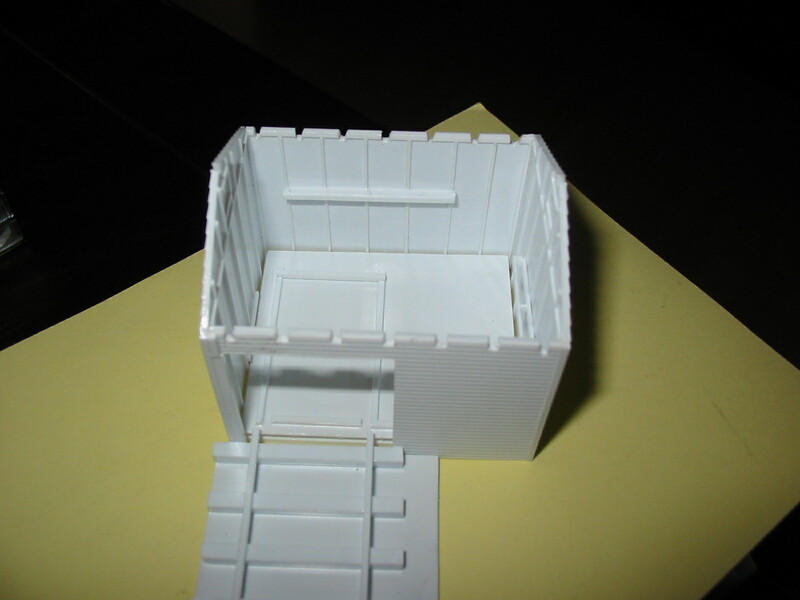 I laminated brick sheet to the plain wood walls. I shaped the cupola from a chunk of balsa wood, and also created the decals myself. The depot will be placed on my homelayout depicting the Santa Fe Surf Line from LA to San Diego. 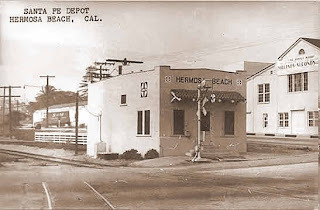 The prototype still stands, together with the depot, and is part of Sarducci's restaurant today. Straight forward construction from wood sheet and strip wood. I applied a light weathering. Unfortunately this depot was demolished in 1968 and today there are no tracks any more. I've build the porch from bits of stripwood and cardstock covered with spanish tile plastic sheet. The platform was scratchbuild using strip wood. I covered the depot walls with putty to simulate stucco. This relatively simple depot will be the centerpiece of my Hermosa Beach module. It scored only 67 points. 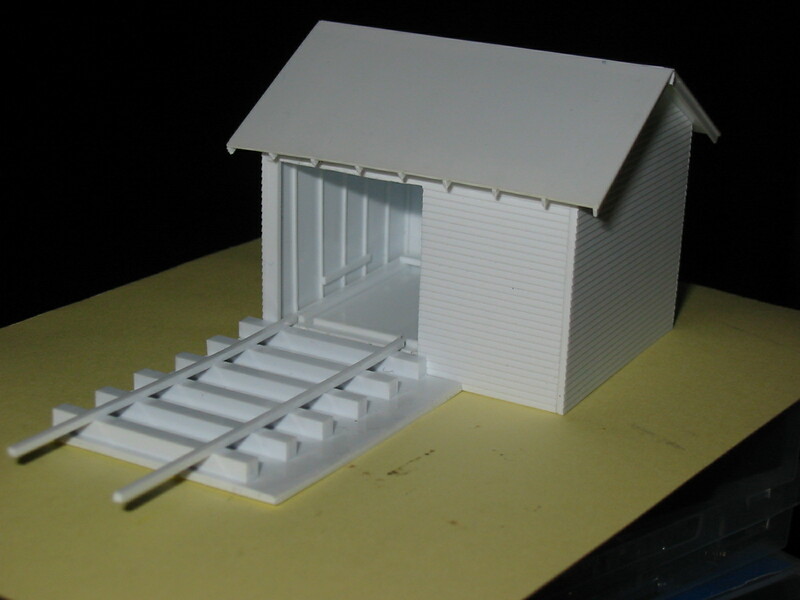 This tiny shed was completely build up using Evergreen styrene, as you can see. and placed it on a diorama base with handcar and track workers. Nevertheless it scored only with 79 points. These models were build in between of the first 7 that earned Merit Awards. They are listed here to document the different types of structures I have build to meet the requirements. Although YOU don't have to get ALL models judged, I did it. I had to write model descriptions anyway, so why not present them to the judges. At least I learned what made the actual scores and tried to improve the next models using the advice given by the judges.